Whenever away from own country and travel abroad to a new place with different culture, good foods will definitely boost the excitement in exploring the country. My first meal of the journey was terrible. 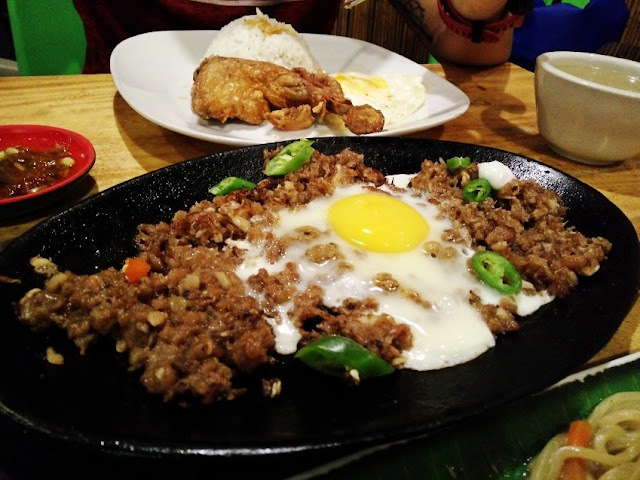 I ordered a local food called Sisig, as I read from some website, mentioned that it is one of the must-try local Philipino food. But I left out the important note that not every restaurant served good Sisig, and I didn't know what it is made of. That first meal spoiled my mood for the rest of the day fml. 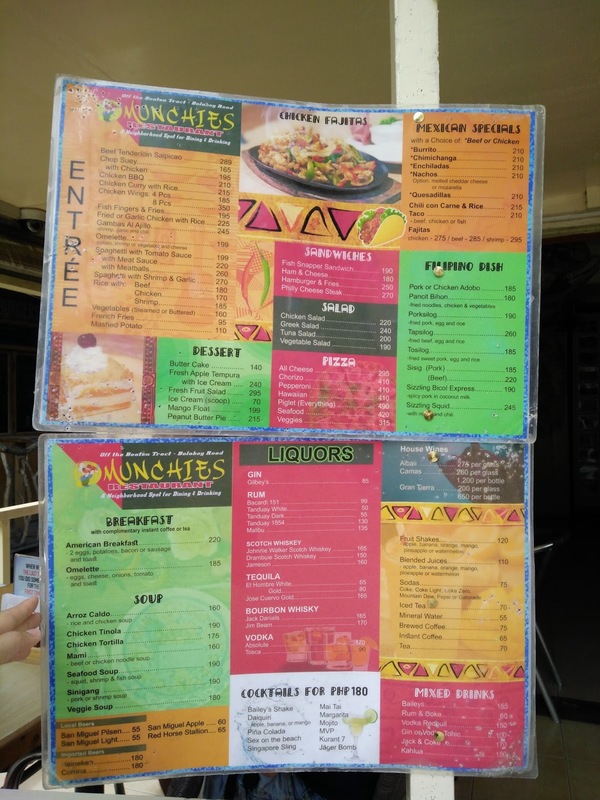 So, speaking of food, there are something that must be understood in Boracay. The name. I actually googled about them all the way, except for the first meal I had. Nooooo I should have done it earlier. Lets forget about the terrible meal I had. 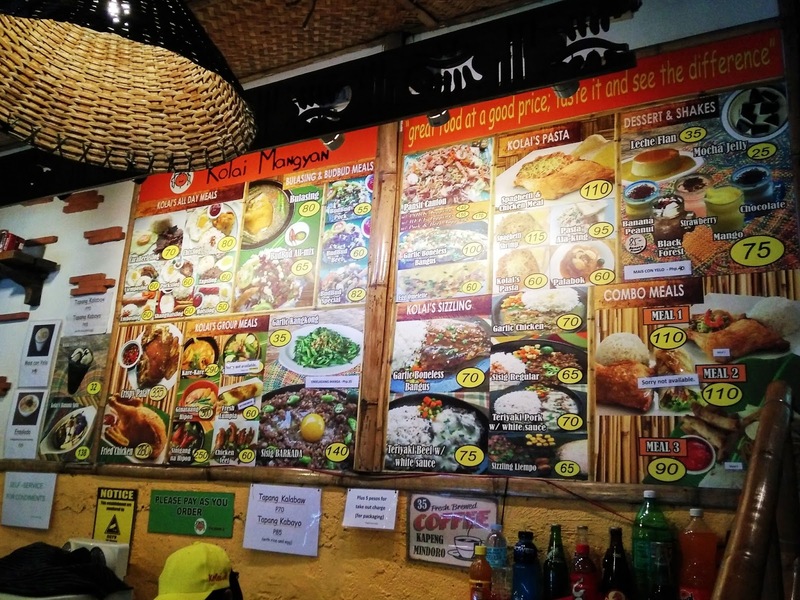 We actually found some restaurants which served good local Philipino foods with good price. Because we had their foods four times. We found this place when we are on the way to D'mall, at the main road. 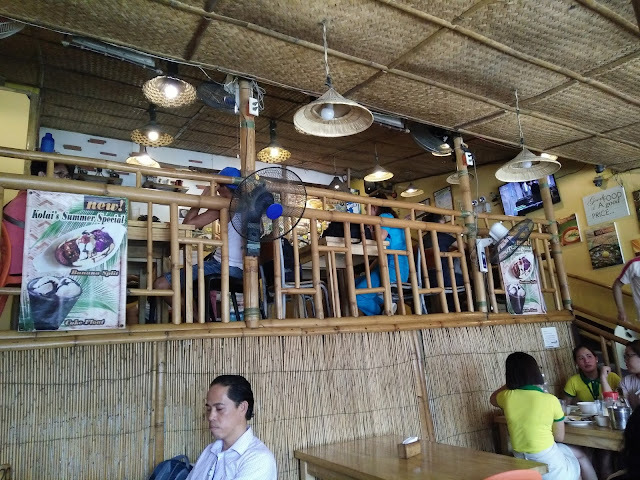 The price is reasonable, foods are tasty, we able to get a main meal for less than 100 peso (appx RM8). A characterful restaurant, notable along a hectic street (the Mainroad). 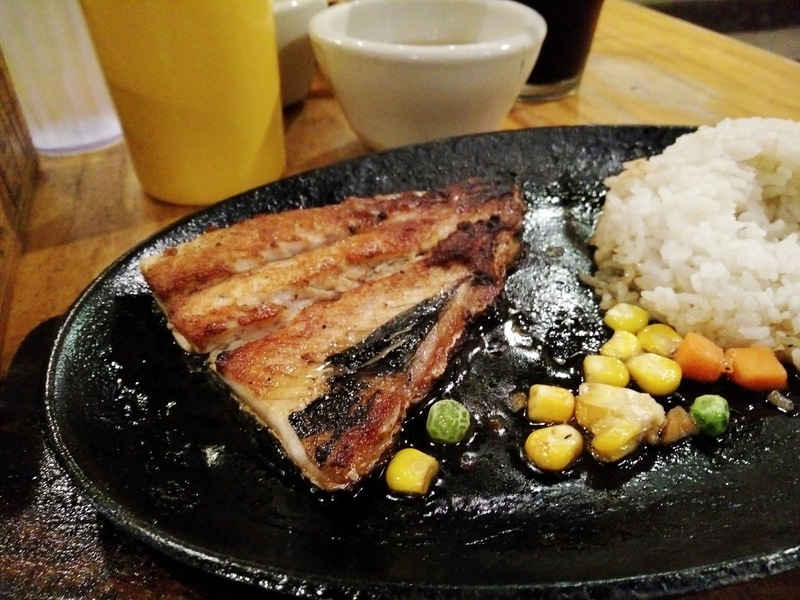 Try this milkfish if you're fish lover! 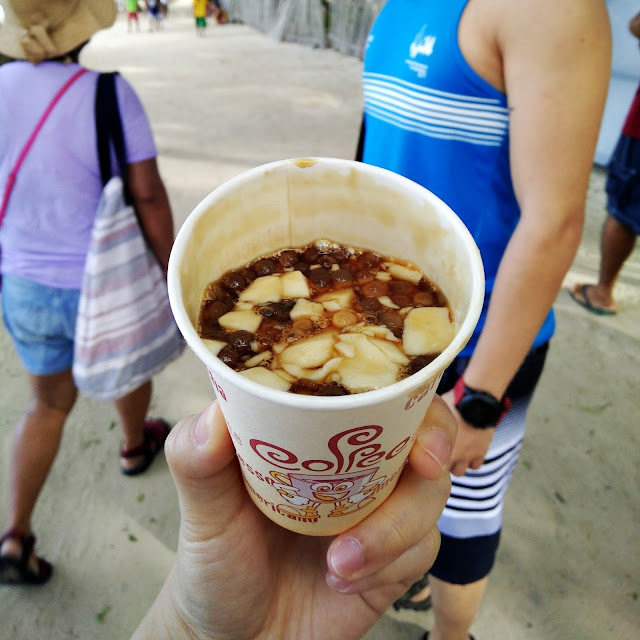 7D6N in Boracay indulged in Filipino's cultures had made me realized that most of the Filipinos can't go a day without including rice in their meals. 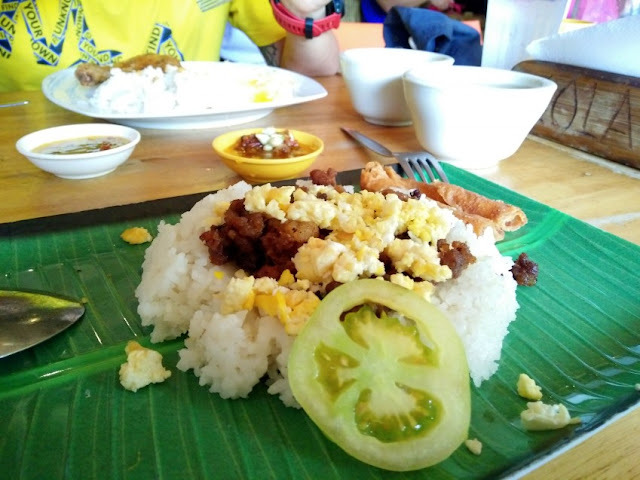 Most of them had Tagsilog/ Longsilog etc as breakfast. 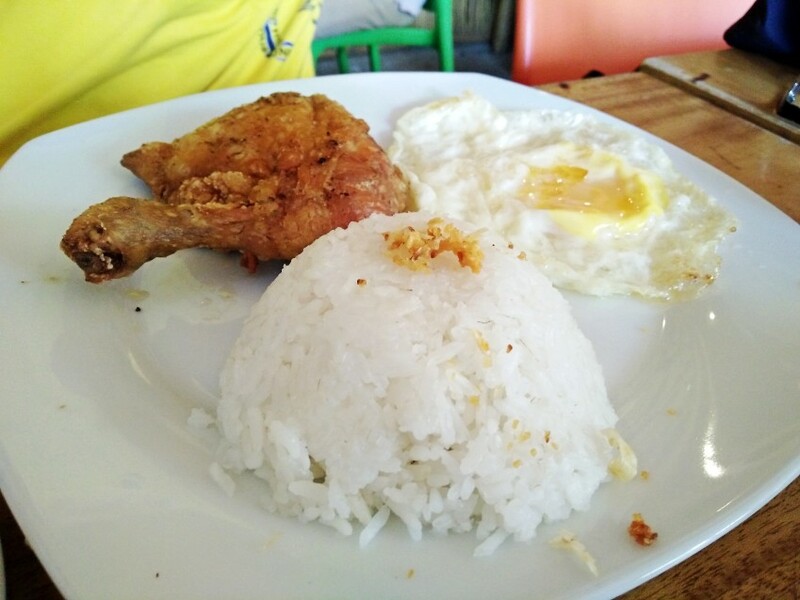 and... Norman had this Chisilog (Chicken + Silog) for four times goshh. Anyway, the chicken was good. It's quite hard for Muslim to have a proper meal here. Anyway no worries, there're some halal's restaurants in D'Mall. It's served with complimentary savoury soup. 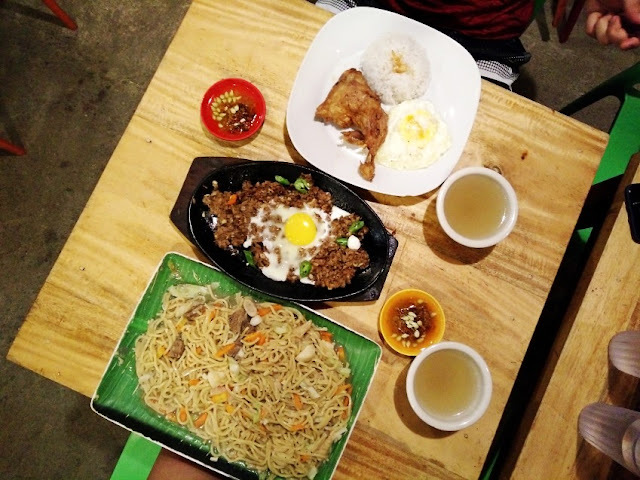 I tried the Pancit Canton, stir-fried noodle. Omg it was so huge. The flavouring and seasoning were so similar to those added in instant noodle. This was my biggest meal here. 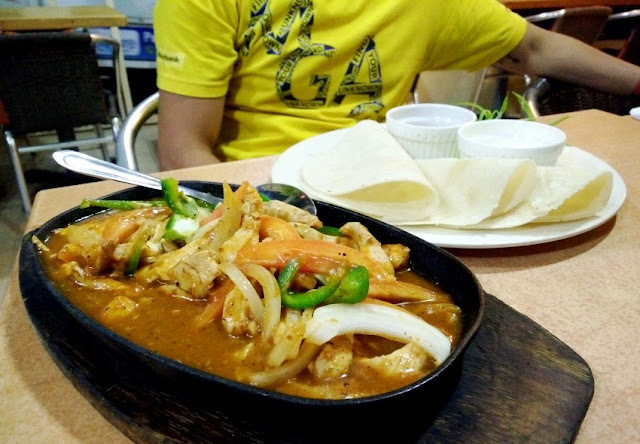 Spot something on the sauce dish? 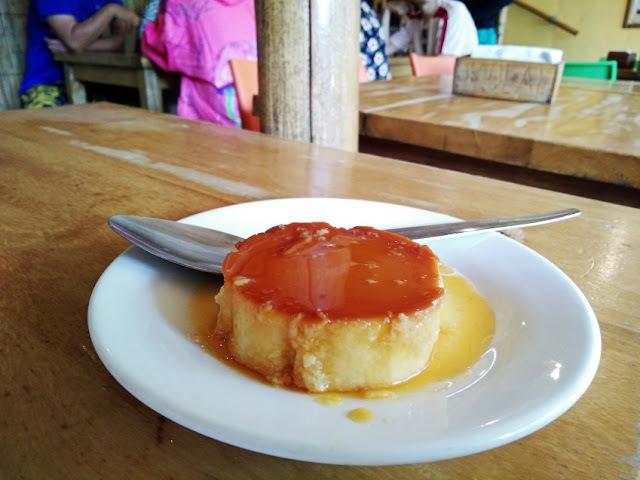 This is also one of the reason why we returned to Kolai Mangyan for so many times. It's a combination of chili and lime. Saliva production stimulator yummm. Guess they enjoy sweet foods. Couldn't take it without adding lots lime juice. So good that food doesn't need a bargain. They served mixed cuisine. The portion was huge, worth the price. Most importantly, delicious foods are served. I shall try the Chicken Adobo (Adobong Manok). 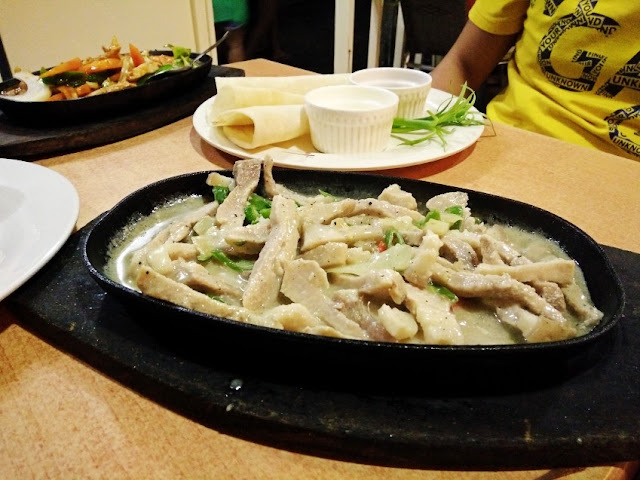 It is one of the most authentic dish! I knew about this on the last night before leaving Philippines. Mind sharing with me the review if anyone tried this before? And this is really good! 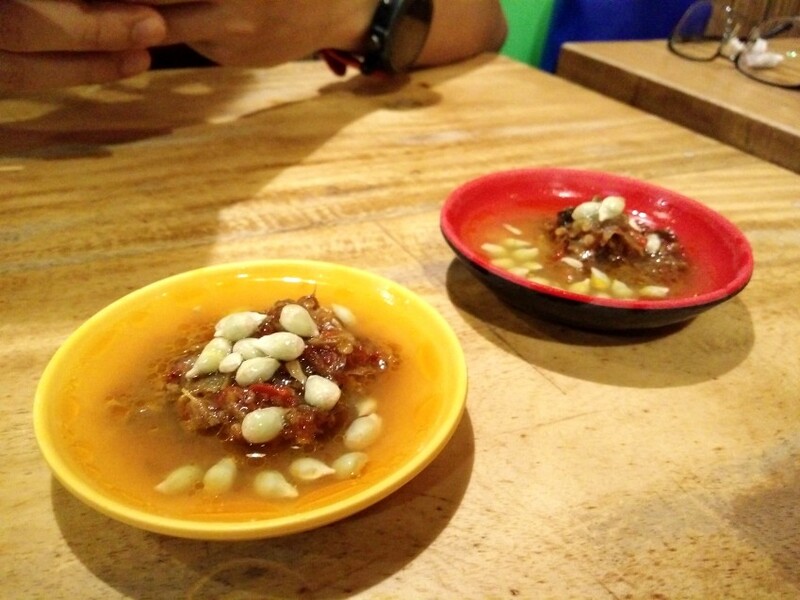 The spiciness is a credit even though I can't take spicy food. The small setting may be less tempting to make you feel like filling your stomach here, but I really think that the foods that we had tried worth it. There are some franchise in Philippines. It is quite an eye-catching restaurant along the white beach, serving beers and wines, easy to locate. 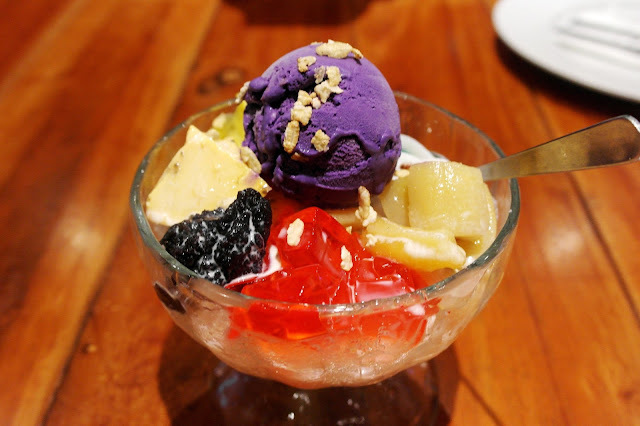 It actually means "mix together," a popular dessert that consists of mixtures of shaved ice and evaporated milk, with various ingredients such as ice cream, red beans, jelly etc. 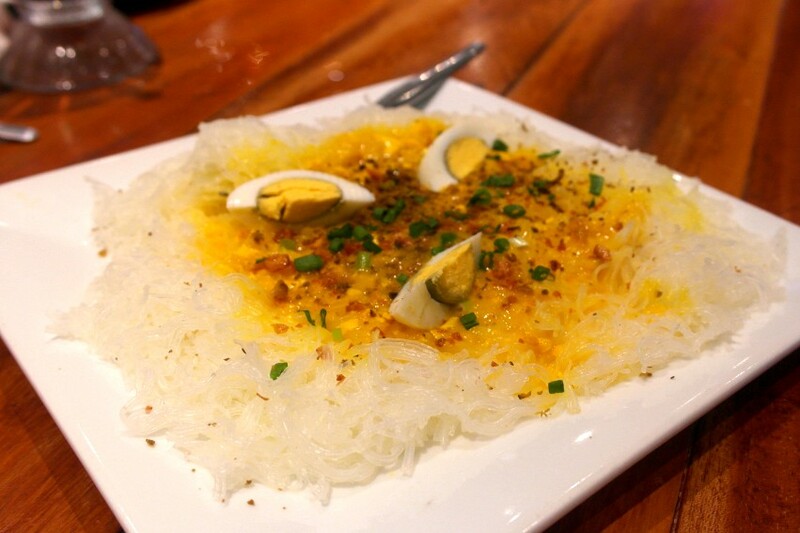 Pancit Palabok - it's mentioned on the menu that "Guaranteed to be one of the best you've ever tried!" It's listed in the Merienda (light meal), a little sour and savoury noodle dish with shrimp sauce. 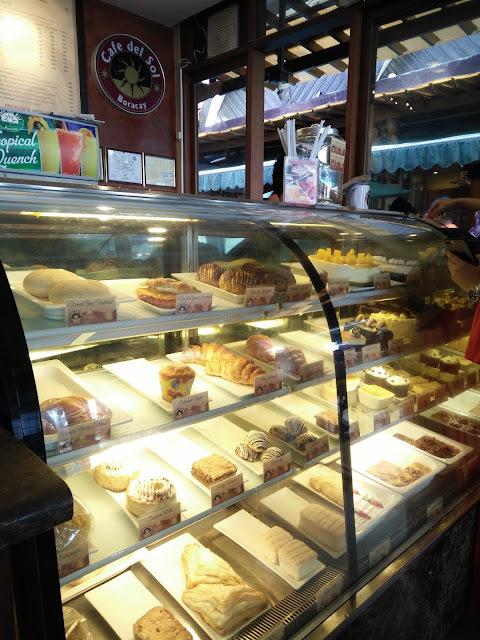 I guess I lived a pretty healthy lifestyle during the days in Boracay. 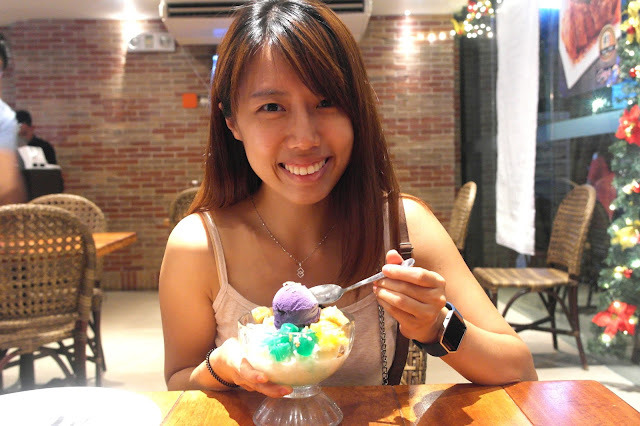 We walked a lot, swimmed a lot, took proper 3 main meals everyday, no suppers, no snacking time (except on Norman's birthday cause we had so much of cakes loll). Anyway, I found the snacking habit here is similar as in Malaysia. There're lotsa vendors selling crackers, nuts, and... tofufah. It's called tohu here, sweeter than the one I had in Malaysia, with concentrated gula melaka and sago. And fried hardboiled egg. Idk what was added into the flour. There're a lot of cafes to spend an evening. Or for an impulsive craving. We'd just been to a few. We saw 2 branches in Boracay. We went to the one which is very close to the Willy's Rock in Station 1, like a lifesaving place we found while waking under the scorching sun along the beach. Phewww. This is a hype, but worth a try. Mango shake is their signature, I like the papayas one. 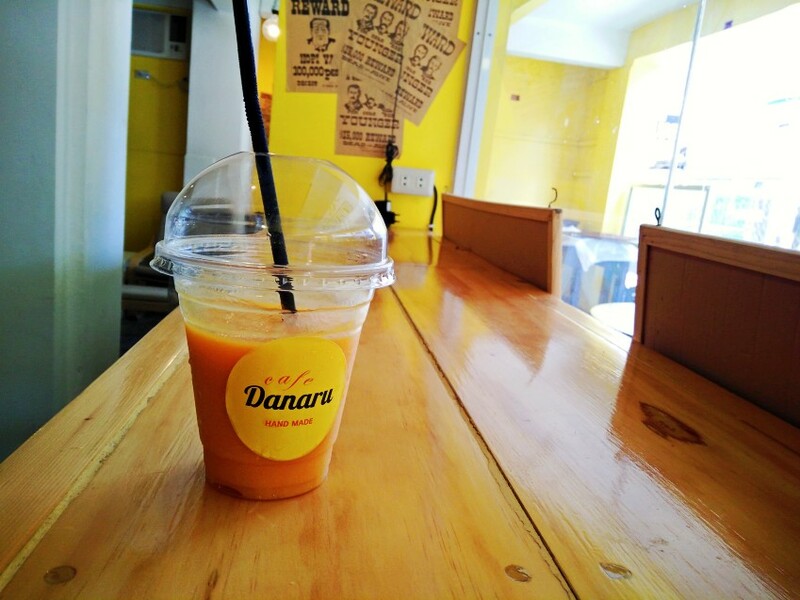 Anyway we actually found this Denaru Cafe serving good Mango shake (140 peso). We both like this more than the one we had in Jonah's. And it's like a hidden gem along the street further away from the mainroad, cause it's a peaceful place with a spa and hotel beside it. This is really good. Miss this quite a bit. Sometimes surprise came in like this. Out of the routine path, it brought bigger satisfaction. 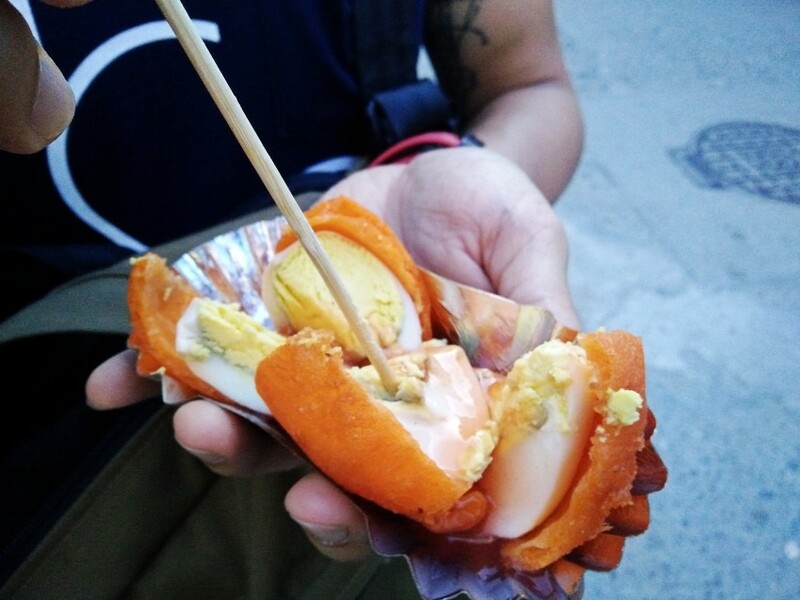 This is Croquette (100 peso). 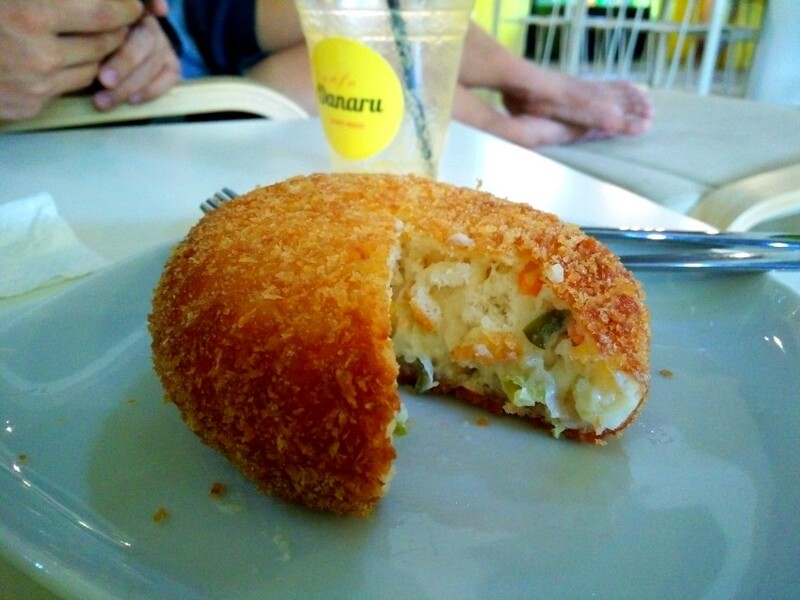 It's a breadcrumbed fried roll containing potatoes and some other vegetables. How I know about this cafe which selling good cakes? Okay long stories to tell. I wanted to plan a surprise for Norman's on his birthday in one of the Airbnb accommodation we booked but they don't keep cakes. 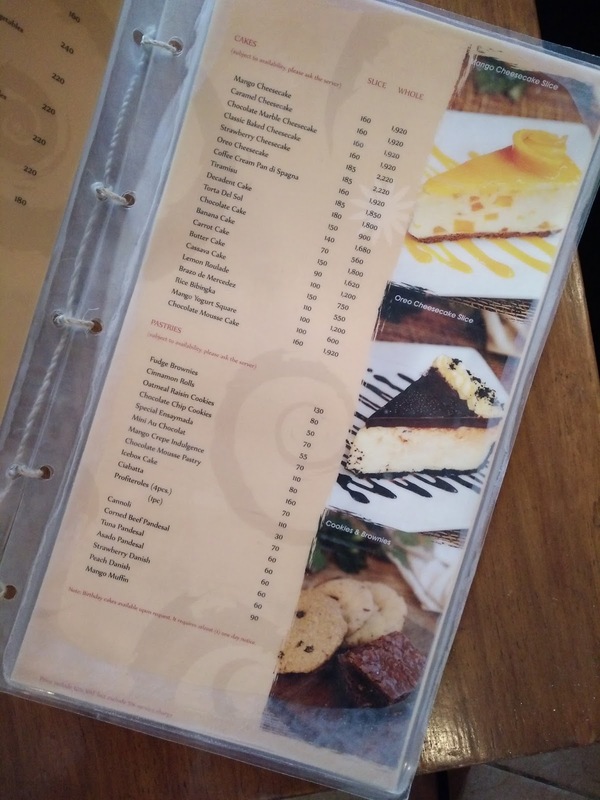 Worker from Aissatou Beach Resort written a list of cake shops around D'Mall. I can't hide anything anyway because he sensed it earlier fml. Surprise so failed. 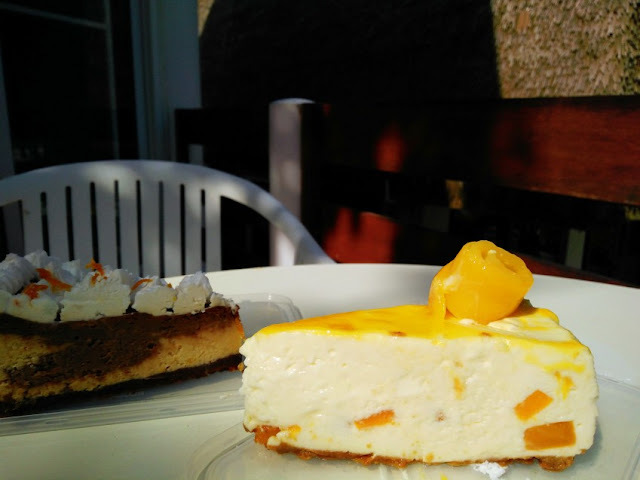 The Mango Cheesecake was the best we had. 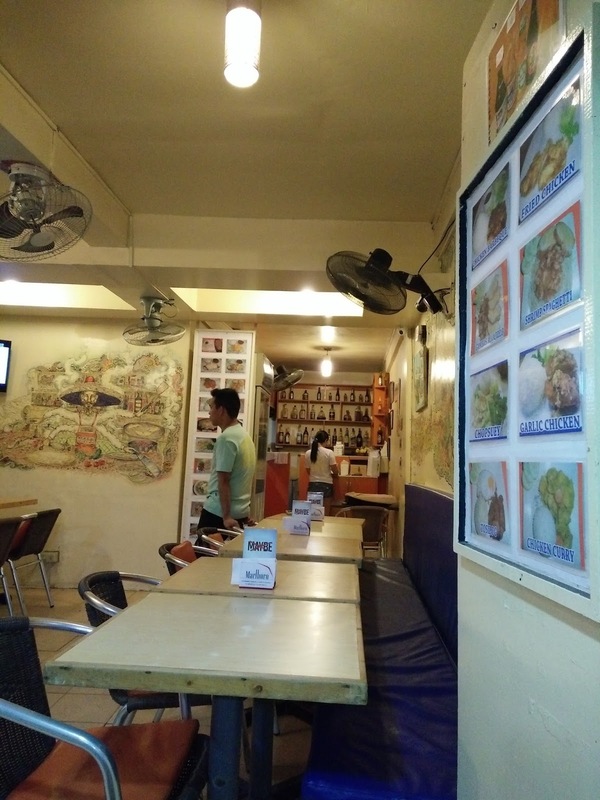 Leylam Shawarma is the largest Shawarma chain in the Philippines. Shawarma is an Arabic (Levantine) meat preparation. We had shawarma beef wrap with cheese and I'm now missing this snack yummm. Jollibee is actually the largest fast food chain in the Philippines. Chowking serves Chinese food (especially Siomai). 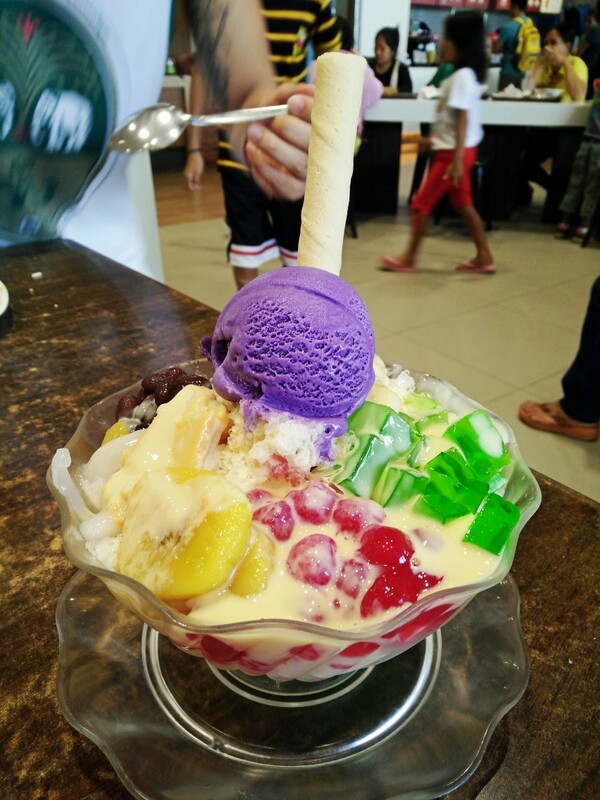 It cost not more than 100peso, but the shaved ice is not as smooth as the one we had in Gerry's. Speaking of convenient snacks, the Skyflakes and Jack&Jill's Magic brand crackers were so famous here. We got some from the CityMall in Kalibo. Hmm I'm going to confess a few things here. I look through my social media and it really does look like I eat perfectly well all the time and it is just simply NOT TRUE. Since venturing into nutrition field people been telling me that "ohh you wouldn't eat this" but nooo. Sometimes I don't. Nothing's perfect. It is okay to show the ugly bit of our life, and escape from being so caught up with just trying to inspire people to live a better life isn't.